Summer is finally here and that means it’s BBQ, potluck, picnic, and ice cream season!! Yeaaahh! Although I think my favorite season of the year is spring (I just love when everything starts to blossom! 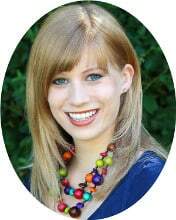 ), I really enjoy the warmer weather and having lots of vibrant salads, fruity desserts, and light main meals. 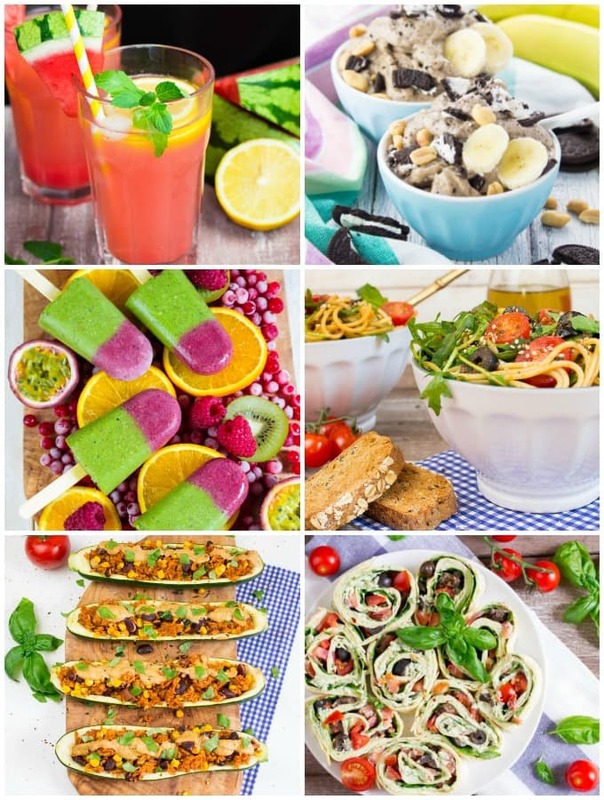 So to celebrate the beginning of summer I put together this list of 10 delicious vegan summer recipes for you. All of these recipes are really easy to make (most are ready in less than half an hour), made with fresh and light ingredients, healthy, and of course meat- and dairy-free! 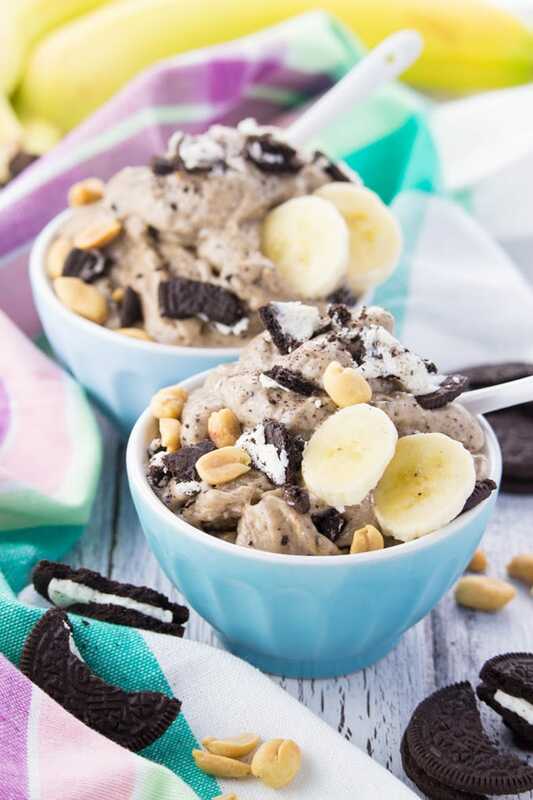 Let’s celebrate the beginning of the warmer weather with this decadent, extremely yummy, and super easy vegan oreo ice cream with peanut butter and peanuts! You don’t need an ice cream maker to make this vegan oreo ice cream and it’s ready in less than 5 minutes! All you need are frozen bananas, oreo cookies, peanut butter (chunky if possible),peanuts, and a good blender. When I first tried vegan banana ice cream (or nice cream) I just couldn’t believe how insanely creamy and easy it was! There’s nothing more refreshing on hot summer days than lemonade. Of course you could just go to the store and buy some lemonade or cans of concentrate, but homemade lemonade is sooo much better!! Plus its free from preservatives and you can use as much sugar as you want. 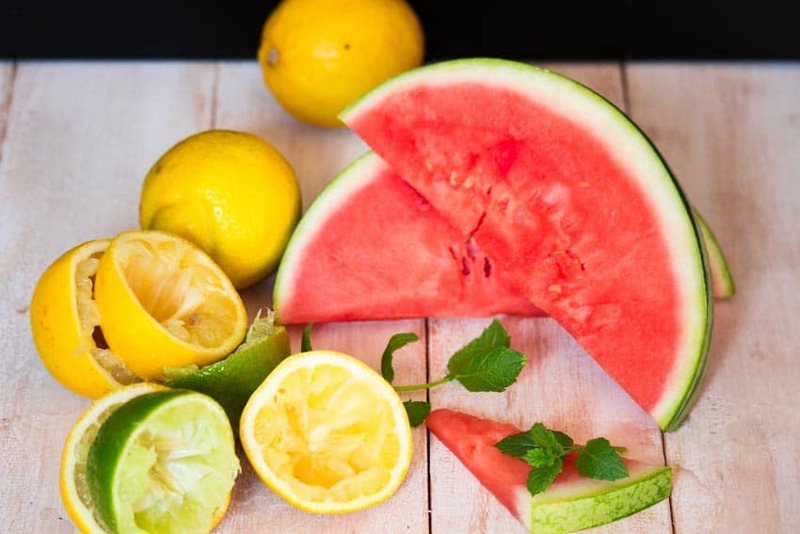 This refreshing watermelon lemonade is one of my absolute favorites! All you need is a small watermelon, two lemons, one lime, water, and agave. I’ve thought for years that making lemonade is quite complicated and not worth the effort. I couldn’t have been more wrong! Attention! 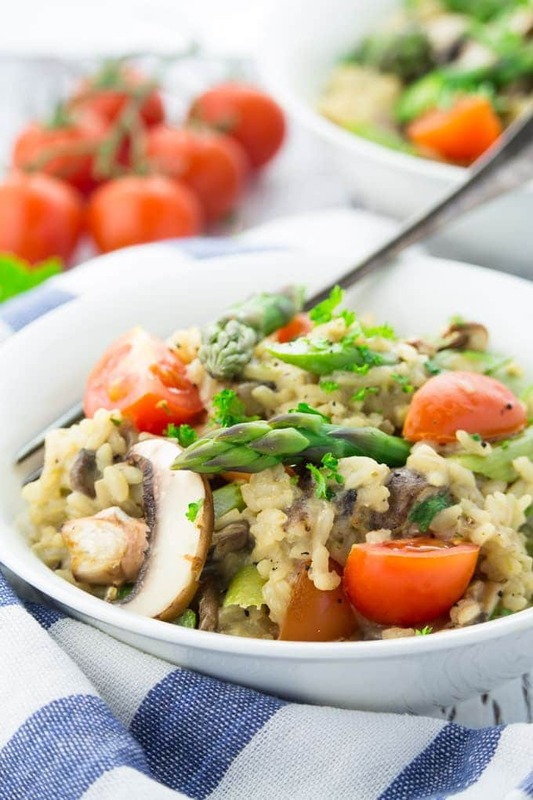 Spoiler alert: This vegan risotto with asparagus and mushrooms might be highly addictive!! It’s super creamy, cheesy, wine-infused, lightly decadent, and packed with flavor. Risotto seriously is the synonym for Italian comfort food. I mean cheesy and creamy, what can be more comforting, right?! While risotto traditionally calls for butter and Parmesan cheese for flavor, it can easily be made vegan by substituting cheese and butter with white miso paste and nutritional yeast. 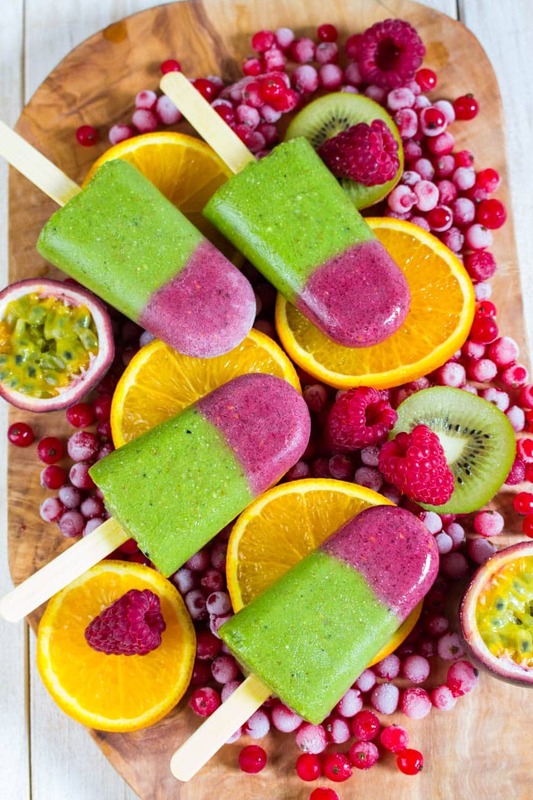 These tropical green smoothie popsicles are made with tons of fresh and healthy ingredients! For the pink top I used frozen raspberries, red currants, and chia seeds. The rest of the popsicle consists of a tropical green smoothie with spinach, banana, pineapple, kiwi, orange, and passion fruit. They’re totally sugar-free, filled with tons of essential nutrients, and super delicious! You could even enjoy them for breakfast!! This Mediterranean pasta salad is just perfect to bring along to a BBQ or potluck. It’s made with sun-dried tomato and caper pesto, olives, and arugula and you can literally just taste summer in this salad! If you don’t like arugula (I know some people don’t, I also just recently began to love it), you can also sub it with fresh baby spinach. 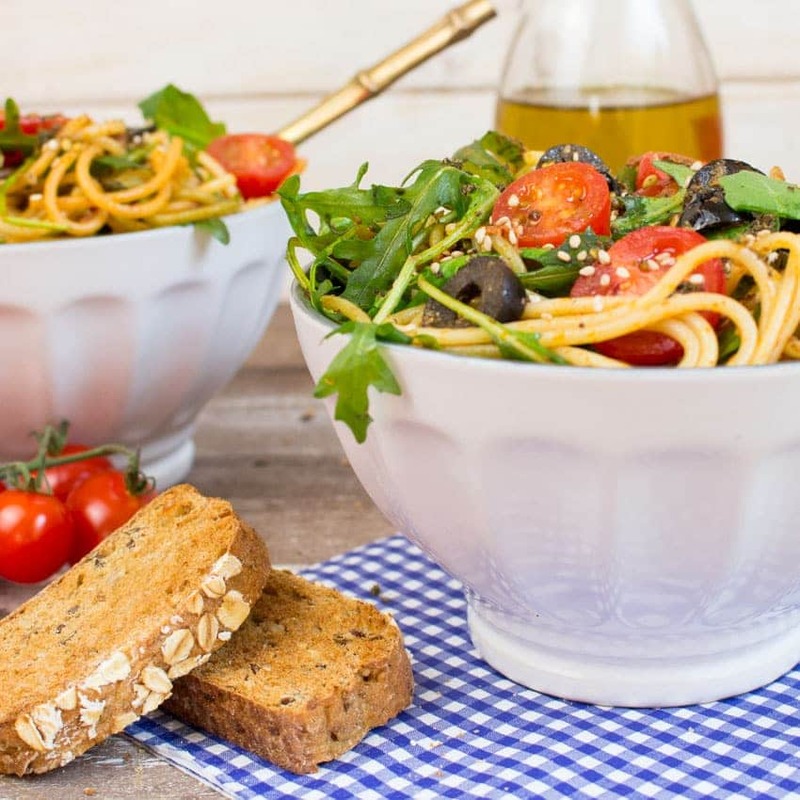 You’ll definitely impress your family and friends with this unusual pesto pasta salad! 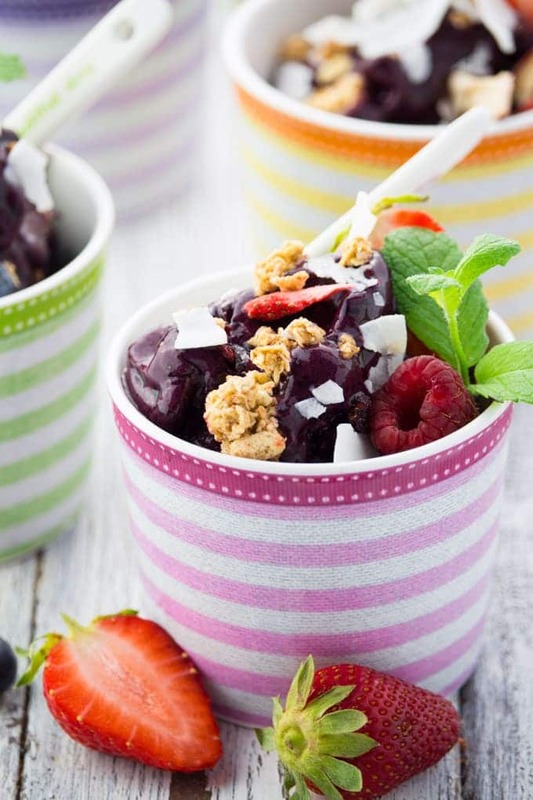 Number six of these vegan summer recipes is this 2 ingredient blueberry ice cream with granola and coconut flakes! The best thing is that you need only two ingredients to make this vegan blueberry ice cream: Frozen bananas and blueberries. No need to add any kind of sugar, dairy, or anything else!! 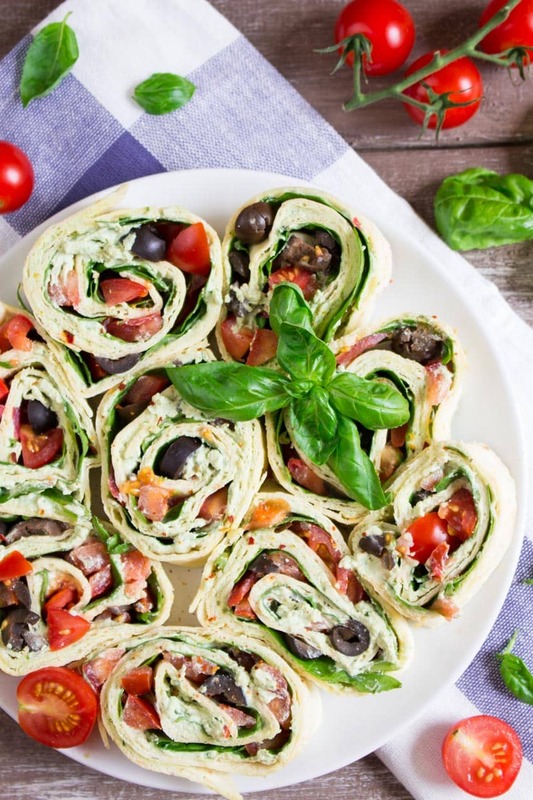 As these vegan basil ricotta pinwheels with spinach and olives can be prepared in advance, they’re perfect for parties or potlucks and also make for an easy and healthy lunch. I’ve always loved Mexican wraps, but this Mediterranean version really got me! And it definitely couldn’t be easier! The basil-infused vegan ricotta is made with tofu and cashews and it’s ready in less than five minutes. I just love its creaminess!! 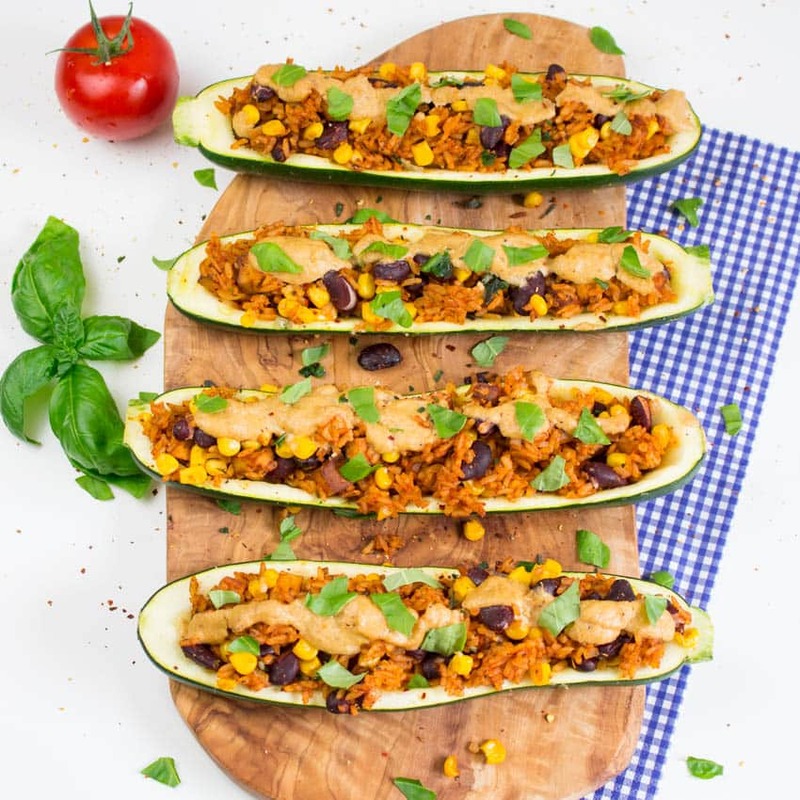 These Mexican stuffed zucchini are a great source of protein! They’re filled with brown rice, kidney beans, corn, and crispy smoked tofu cubes and are topped off with homemade vegan cashew cheese. 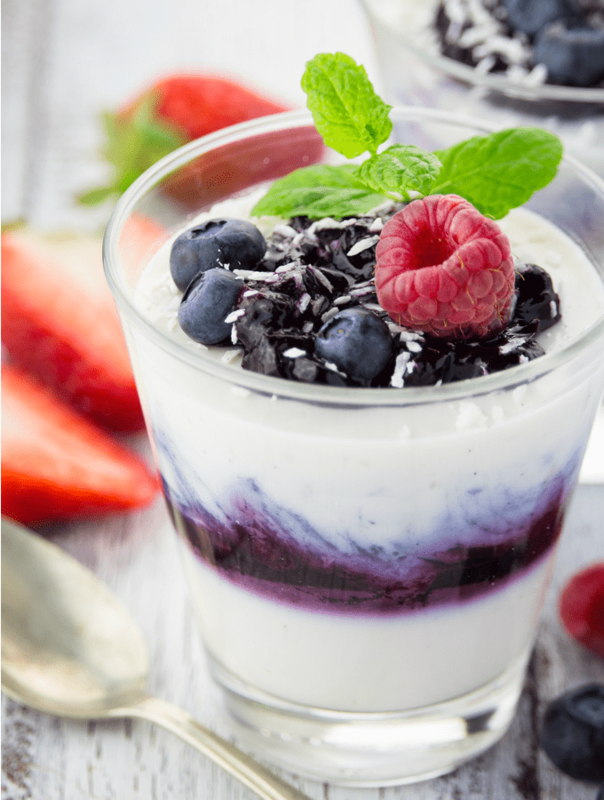 Absolutely yummy and perfect for summer! Before I became vegan, panna cotta with strawberry sauce was one of my favorite desserts (right after crème brûlée and tiramisu I think), but cream and gelatin isn’t exactly vegan, right? Well, we’re lucky: it’s just as easy to whip up a vegan version! And it’s actually just as delicious – if not even better! And isn’t this vegan blueberry panna cotta just super pretty?! I think it’s my favorite of these vegan summer recipes! 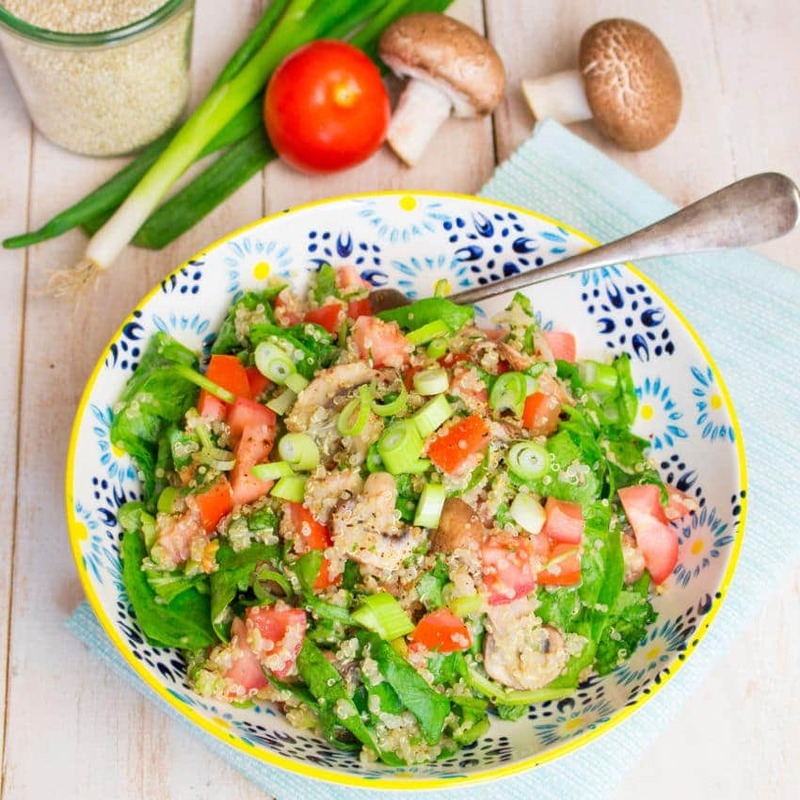 I think I’ve already made this light quinoa salad with mushrooms and spinach a thousand times! No, I’m exaggerating, but it really is one of my favorite summer salads and it’s great to bring along to BBQs or picnics. It’s easy to make, healthy, and super tasty. I’m a huge fan of quinoa and we have it at least once or twice a week! Yum! What a delicious round-up Sina! I love BBQ season! And I love a recipe roundup that starts with ice cream! :) Love them all! What a lovely collection of summery recipes and I love that they are all so quick and easy to make! 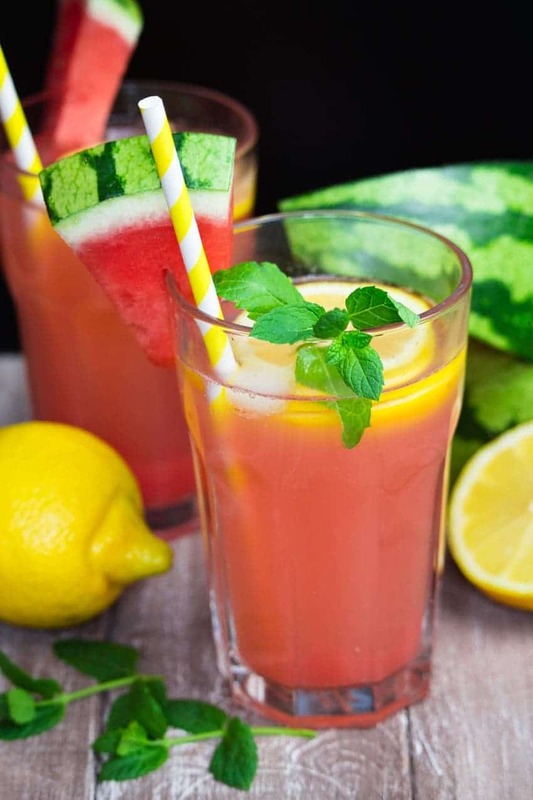 I really want to try that watermelon lemonade recipe! Love summer and all the food that goes with it! Great collection of bright and fresh food to keep us going!